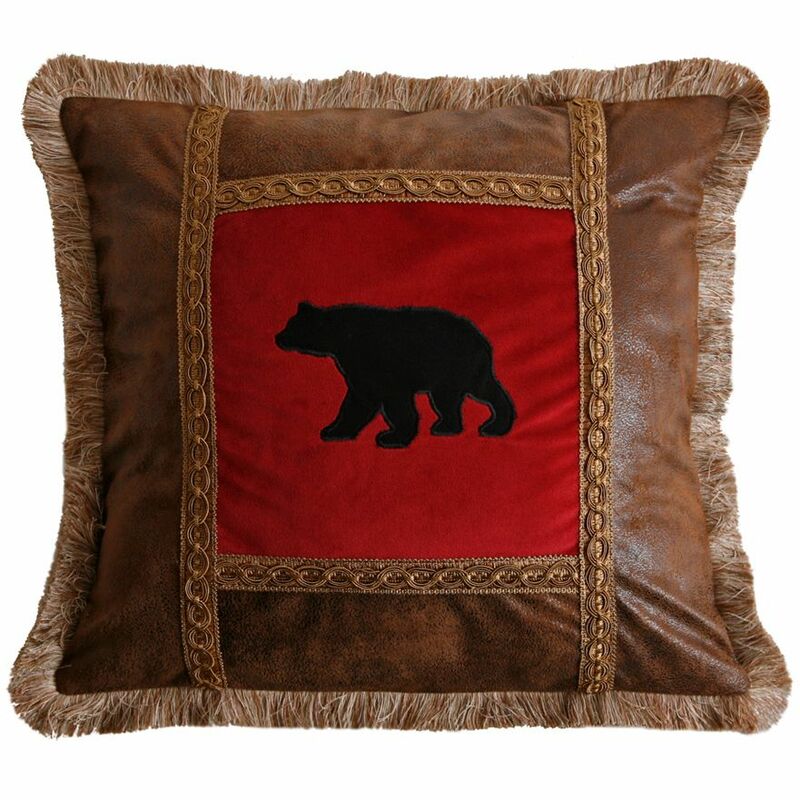 Create a rustic atmosphere in your bedroom with the Bear Pane Pillow. This accent pillow features a black bear silhouette on vibrant red velvet with gimp trim and brush fringe for defining style. Poly suede and velvet 18"W x 18"L Dry clean only ~ Ships from the manufacturer. Allow 2 to 3 weeks. Cannot express ship.